I’ve been on record for years as endorsing David Allen Sibley’s masterwork, The Sibley Guide to Birds as the first and foremost reference guide for anyone at all who looks at North American birds. Whether you consider yourself a bird watcher or not, you’ll never regret having this book on hand. But does Sibley’s preeminence in the arena of ornithological observation assistance extend to issues of arboreal identification? In other words, is The Sibley Guide to Trees as awesome as The Sibley Guide to Birds? The Sibley Guide to Trees by David Allen Sibley is truly a tree tour de force, a worthy companion to the author’s banner bird guide. One first notices how gorgeous this volume is; the graphic design is subtle but sharp. Over 9100 amazing illustrations are displayed in an open layout that allows every leaf, branch, cone, fruit, and flower room to breathe. Each entry also includes a crisp range map identifying whether a tree is native or not. Sibley’s extensive introduction tackles trees and how to look at them, delving into matters of taxonomy, conservation, and elementary identification. From the very first page, the intent of this offering is evident: just as bird watchers immerse themselves into the intricacies of field ornithology, so must nascent tree watchers accept indoctrination into basic botany. Many elements of this guide will feel familiar to American bird watchers and with good reason. Sibley never forgets the faction that loves him most. First of all, trees are arranged by family just as most respectable bird guides including Sibley’s own are. Further touches like the species checklist make me want to begin my arboreal life list. And if you think Sibley can mention a tree like the Jack Pine without discussing its most famous avian inhabitant, you clearly have much to learn about the author and the tribe of North American birders. 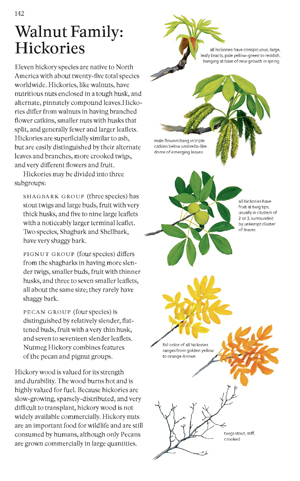 The Sibley Guide to Trees seems as effective as any other identification guide I’ve worked with in naming trees. 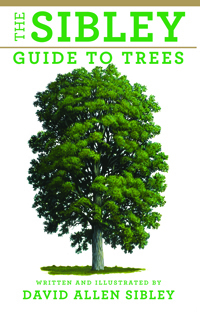 In fact, I’d warrant that it is likely the best best amateur tree ID guide on the market. Yet, the significance of this work far exceeds its utility. This Sibley Guide serves as a bridge from that other Sibley Guide to the rest of the natural universe. The author’s agenda is apparent; first, he established himself to millions of birders as one of the icons of modern American bird identification and now that we’re all looking at birds with his help, he’s decided to invite us to pay attention to other organisms in our field of view. So many of us literally miss the forest for the birds that, through this new guide, Sibley might very well inspire untold armies of tree watchers. Consider me one of them! The Sibley Guide to Trees is an essential reference text for anyone and everyone who has ever wondered about the identity of a tree. I rank this book right up there with my beloved Sibley Guide to Birds as mandatory editions in any home library. Pick up a copy yourself and you’ll see what I mean. As someone who has learned all his trees in upstate NY through the Peterson guide and key-based methods, the format is a little bit jarring. I have yet to field-test it on some of the trees around here that I don’t know. That said, I do love the near-comprehensive coverage of North America (unfortunately excepting south Florida, which is kind of relevant for me right now), the taxonomic arrangement, and all of the information. 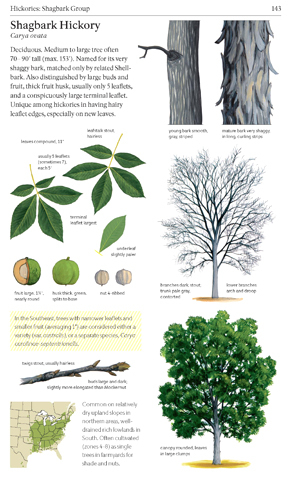 It sure is a joy to flip through and just read about all these trees I don’t know. Where Are You Birding This Third Weekend of February 2017? Where Are You Birding This Fourth Weekend of March 2011?